Fujifilm X100F is the fourth generation of Fujifilm’s popular X100-series of compact cameras. Highlights include the addition of an AF joystick and the 24.3 MP X-Trans III APS-Csensor. Overall, this camera is a major step forward in terms of image quality, performance and user friendliness. 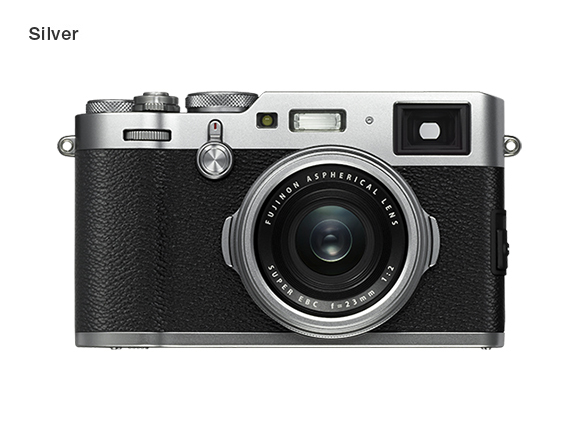 The design of Fujifilm X100F including the 23 mm lens remains the same as that of the original X100, the second generation X100S and the third generation X100T. There are a few changes to the dials. First, the shutter speed dial now contains an ISO dial and there’s a completely new front dial that speeds up previewing of photos. It’s interesting to note that Fujifilm has taken an ergonomic approach and has placed the majority of the controls and dials on the right-hand side. This layout makes it easy to control the camera with the right thumb. Image source: Fujifilm. Front view of Fujifilm X100F in silver colour. A lot of the changes and improvements are internal like the improved Autofocus (AF) system. The number of AF points, for example, has increased from 41 to 91 while the AF acquisition time has been reduced significantly. The newly added AF joystick, which is also found on high-end models such as Fujifilm X-T2 and X-Pro2, makes it straightforward to adjust the number of AF points. Other improvements worth mentioning are the extended battery capacity and the new colour film. The camera will first go on sale in the US in February. There are two colour options for consumers to choose from: silver and black. The retail price is US$1,299, which implies a selling price in New Zealand of NZ$2,075 inclusive of GST.